Chicago Land Real Estate Monthly News Letters! "How to appeal your property tax." We just entered into Tax Appeal Season. Tax appeals can be filed only once a year in a particular time, that is different in every township. It is a very short time window and it is being changed yearly. You cannot file an appeal once you miss that deadline. Your property taxes might seem high to you, but that is not a reason for appeal. If you live in a house similar to every other house in the neighborhood, but paying higher property tax than other people in your area who live in similar homes, then you might have grounds for an appeal. It will be slightly different for each county and township. Please note that tax appeal information and directions are not very clear and are hard to find on township sites. Your chances are much higher on succeding when you can show evidence of both of those being too high on your home. Follow all instructions on how to fill appeal forms out. You also will need to supply min 3 comparable homes in your immediate area proving that those homes pay less tax and that they are assessed higher. Or show comparable of 3 most recent home sales in the area, that sold below assessed value. Both will be ideal! I attached current tax appeal form for Bloomingdale Township. You also can hire a tax attorney and let him/her do all the work. They usually charge you half of the amount that they reduce your taxes by. "Buying is Now 37.7% Cheaper Than Renting in the US"
The results of the latest Rent vs. Buy Report from "Trulia" show that homeownership remains cheaper than renting with a traditional 30-year fixed rate mortgage in the 100 largest metro areas in the United States. Buying a home makes sense socially and financially and I am here to help you! "4 Tips for Successful offer!" So you've been searching for that perfect house to call a 'home' and you finally found one! As we've mentioned before, getting pre-approved is one of many steps that will show home sellers that you are serious about buying, and will allow you to make your offer with the confidence of knowing that you have already been approved for a mortgage for that amount. You will also need to know if you are prepared to make any repairs that may need to be made to the house (ex: new roof, new furnace). According to the latest Existing Home Sales Report, the inventory of homes for sale is currently at a 4.7-month supply. This is well below the 6-month supply that is needed for a 'normal' market. Buyer demand has continued to outpace the supply of homes for sale, causing buyers to compete with each other for their dream home. "Your strongest offer will be comparable with other sales and listings in the neighborhood. A licensed real estate agent active in the neighborhoods you are considering will be instrumental in helping you put in a solid offer based on their experience and other key considerations such as recent sales of similar homes, the condition of the house and what you can afford." Consider ways of making your offer stand out! Many buyers write a personal letter to the seller letting them know how much they would love to be the new homeowners. Your agent will be able to help you figure out if there are any other ways your offer could stand above the rest. "It's likely that you'll get at least one counteroffer from the sellers so be prepared. The two things most likely to be negotiated are the selling price and closing date. Given that, you'll be glad you did your homework first to understand how much you can afford. If your offer is approved, Freddie Mac urges you to "always get an independent home inspection, so you know the true condition of the home. If the inspection uncovers undisclosed problems or issues, you can typically re-negotiate the terms or cancel the contract." Do not hesitate to call me with your questions! I am here to serve You! "2 Myths About Mortgages That May Be Holding YOU back"
Fannie Mae's "What do consumers know about the Mortgage Qualification Criteria?" Study revealed that Americans are misinformed about what is required to qualify for a mortgage when purchasing a home. Fannie Mae's survey revealed that consumers overestimate the down payment funds needed to qualify for a home loan. 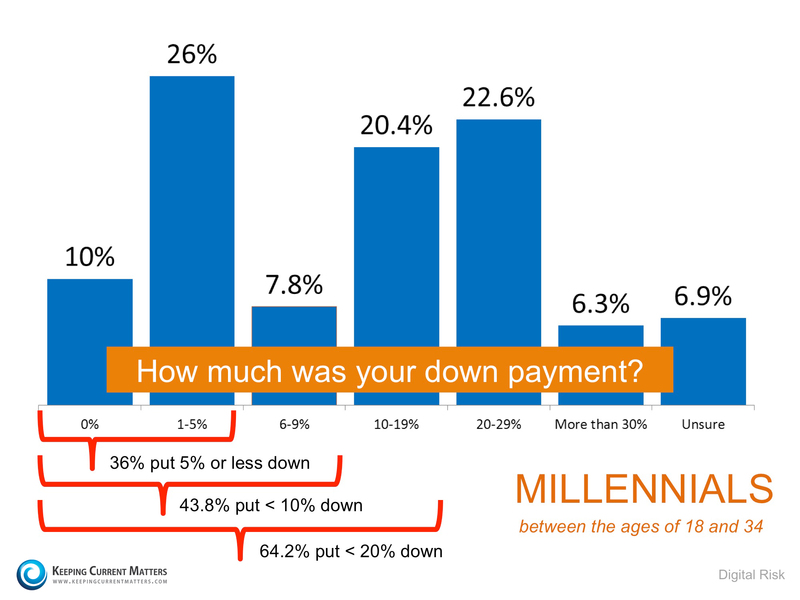 According to the report, 76% of Americans either don't know (40%) or are misinformed (36%) about the minimum down payment required. Many believe that they need at least 20% down to buy their dream home. New programs actually let buyers put down as little as 3%. The survey revealed that 59% of Americans either don't know (54%) or are misinformed (5%) about what FICO score is necessary to qualify. To help debunk this myth, let's take a look at the latest Ellie Mae Origination Insight Report, which focuses on recently closed (approved) loans. 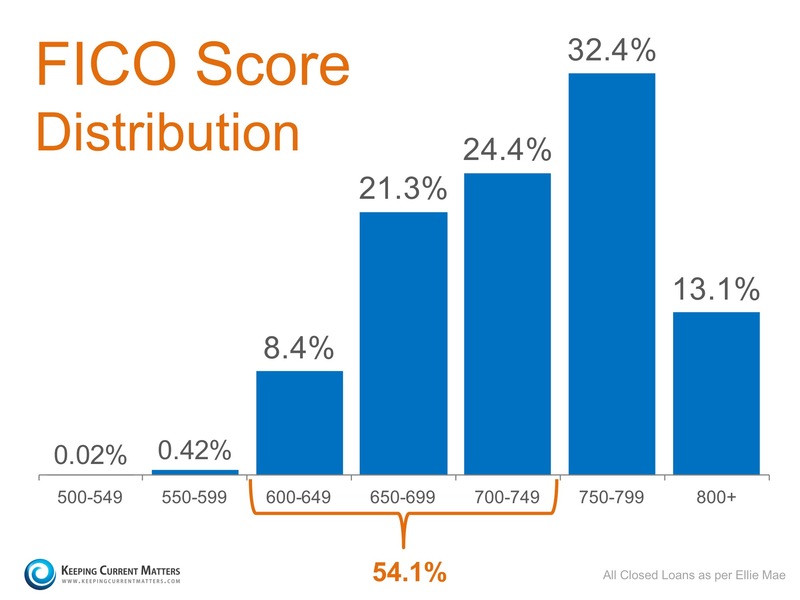 As you can see below, 54.1% of approved mortgages had a credit score of 600-749. Whether buying your first home or moving up to your dream home, knowing your options will definitely make the mortgage process easier. Your dream home may already be within your reach. "How much equity is in Your home?" As of yesterday, CoreLogic's latest Equity Report came out as nearly 268,000 homeowners regained equity and are NO longer underwater on their mortgage in the first quarter. Homes with negative equity have decreased by 21.5% year-over-year. For example, their study showed that 23% of Americans still believe their home is in a negative equity position when, in actuality, CoreLogic's report shows that only 8% of homes are in that position. 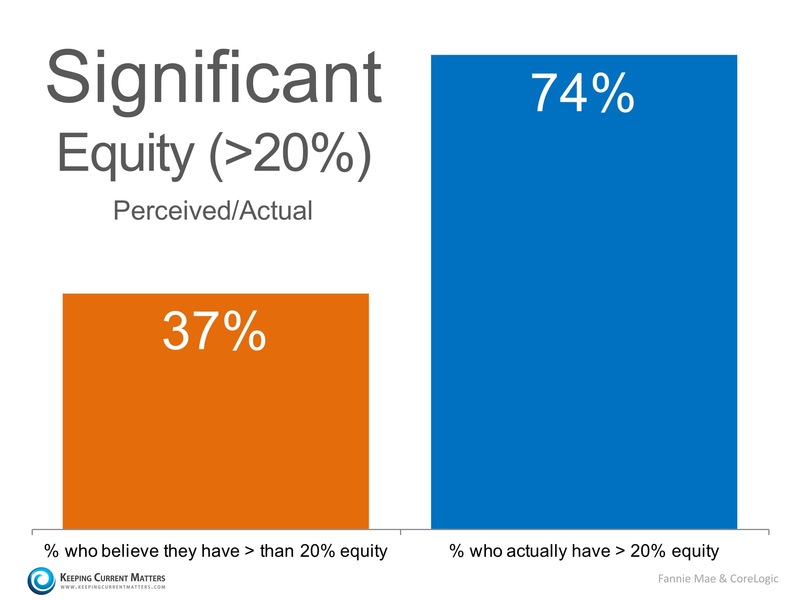 The study also revealed that only 37% of Americans believe that they have "significant equity" (greater than 20%), when in actuality, 74% do! contact me and I will be happy to provide you with your Property Value report. 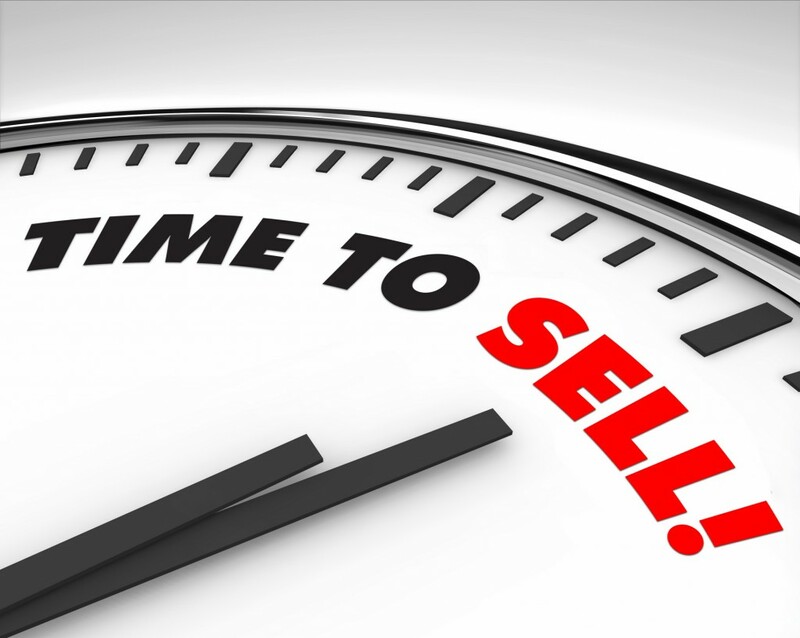 "Want to buy a home right after short sale?" You CAN do it now. No need to rent and through your money away while waiting for your credit to improve. You can apply for a loan just 30 days after short sale. 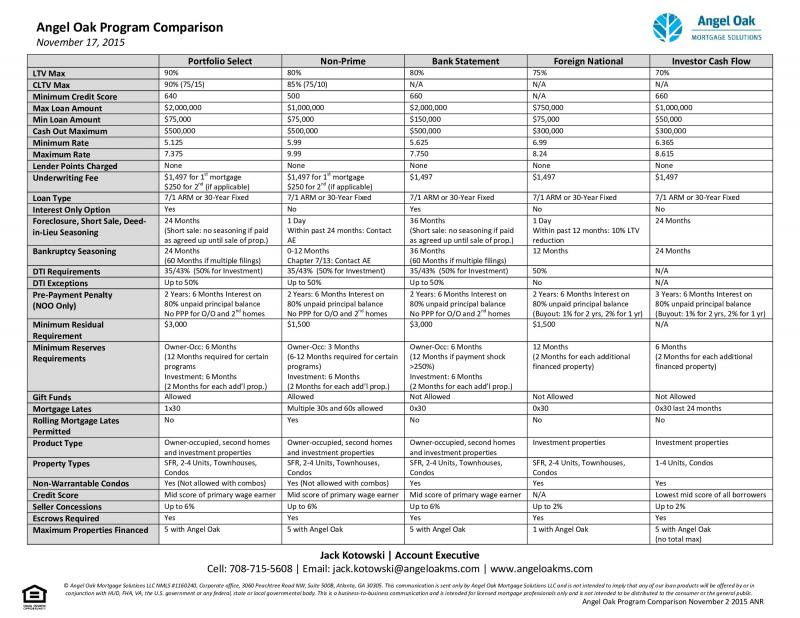 Below you will find a Quick Comparison chart. Yes, your interest rate will be higher, but you always have an option of refinancing once your credit score has improved. You can work on improving it while living in your OWN home. Be prepared for a longer closing time - about 60 days. If you have additional questions please call your Lender. If you decide to buy, call me! "Remodel or Not, When to Sell, How to use Psychological price." We all know to get our home de-cluttered, cleaned and painted in neutral colors before putting it on the market. But not many of us know what projects will bring us MORE money and which will NOT. Recent studies (done by Zillow) confirmed that remodeling your bathroom (making it more functional) will bring you more money than remodeling your kitchen (just changing the style of it). Converting a bedroom into Office - will decrease the value of your home. Buyers like more bedrooms and more space. They have their own imaginations and plans on what they will change in their new home. Stay within the neighborhood level! Compare your home with other houses in the neighborhood. If your home is significantly upgraded beyond those of comparable homes, you will likely have a harder time recouping your investment, but faster time getting it under the contract. Make sure ALL additions and projects were done with proper permits. Have them ready and available or even give copies to your Realtor during listing appointment. Low quality additions that have been done by unqualified builders, or without permits and approvals will cause problems later when it comes time to sell. If a would-be buyer has the home inspected and the inspector finds flaws in load-bearing members, plumbing, or electrical systems, it could cause questions to form in the mind of the buyer as to the integrity of the entire home. Home sales reach their peak in June, during the last week of the month residential real estate transactions are 40% higher than average. But when is the right time to list your home? Best listing time starts in February, but to get the MOST MONEY for your home you should plan to list your house during the last two weeks of March. There's a sharp spike in visitors making contact with real estate agents on Zillow beginning in mid-April and continuing into July. Your realtor should present you with "clear and vivid" picture of your neighborhood statistics on homes on the market and recently Sold. Taking those numbers in consideration and also condition, upgrades and geographical location of your home you and your realtor will arrive to the Fair marketing price. Little trick or "Psychologically priced" tip! Ending your home price in a '9' is very beneficial! "If you were going to sell your house for $150,000, just pricing it down by $1000 and selling it for $149,000 ends up in you making $2175 more than you would if you priced it at $150,000." The '9' dynamic works for houses at all price-points. If you know someone who is looking to buy or sell a home in the next year, please share this News Letter with them! "Know your Home buying cost!" 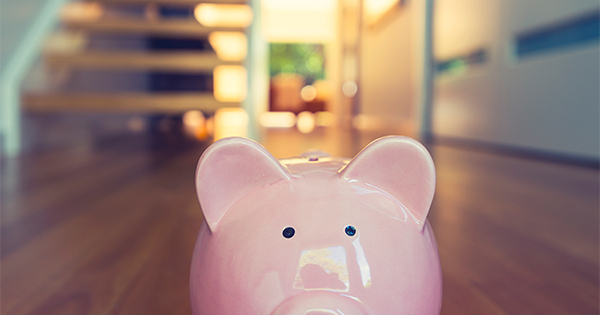 READY to buy a house, but not sure what your cost will be? Here is summary of what to expect and be prepared for. Besides the price of the home, there are other costs that need to be paid for a closing, especially where the buyer is getting a loan for the purchase of the home. There are optional costs, and mandatory costs. "Home inspection" is an optional cost for all home buyers. The home inspection provides a detailed report on the home's condition and any problems that could affect the property's price. This includes reviewing the structure, as well as electrical, plumbing, heating and cooling systems. Cost usually ranges from $200 to $700. Buyers who are not in the home remodeling business typically benefit from a home inspection, which can reveal severe problems, that will make you want to cancel and buy a different property. "Attorney fee" This is another optional fee, for people who are not well-versed in the legal technicalities, or the financial details associated with purchasing real estate. 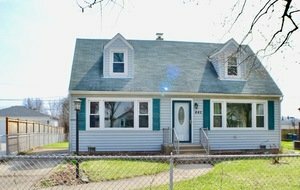 Usually around $500, but varies with the property. "Survey fee" A survey, or legal map of the property, is optional, but if you're buying a home, you can usually get the seller to buy a survey for you, which costs about $400. "Title expenses" The title company does two things. First, it gives you an insurance policy, to guarantee that you own the property that you are buying. You normally get the seller to buy this insurance for you. The costs varies with the home price, but is usually $1,000 or more. Second, the title company does the "closing" which means that the title company provides the office where the buyer and seller meet, for the closing, and the title company collects the money from the buyer, and pays the seller, and all of the expenses associated with the closing. This second part of the title company service is usually paid for by the buyer, if you're getting a loan to buy the property, or the payment is split between buyer and seller if you're paying cash for the property. The costs varies with the home price, but is usually $800 or more. "Recording fee" is a mandatory fee which will cover the cost of filing your record of ownership of the property, with the government. This cost is usually $50 to $100. If you are getting a loan, you will also have to pay another recording fee for your mortgage document. The rest of the "closing costs" are normally paid by you if you are getting a loan to buy a property. "Home appraisal" offers estimated market value of your home, often calculated on comparable sales of similar homes |in your community. Average cost about $500. Lenders require an appraisal. "Origination fee" "Underwriting fee" "Credit report fee" are usually fees for services that are provided by your lender, and charged to you, the buyer, when you are getting a loan. The cost usually ranges from .5% to 2% of the loan amount, depending on lender. "Title endorsements" are fees that are charged by the title company, but required by your lender. So you pay for them, because your lender wants them. They usually cost between $100 and $500. There are endorsement charges for updating your title insurance policy, for using an adjustable rate loan, for buying a condominium, for environmental security, etc. "Termite inspection" determines if the home has pest damage, and the cost usually runs $150. If you are getting an FHA loan, you will need to pay for this or get the seller to buy it for you. "PMI" or Private Mortgage Insurance. If you borrow more than 80% of the purchase price, you will normally have to pay for private mortgage insurance, which can be about $65 per month, for every $100,000 that you borrow. So your monthly mortgage payment can be over $100 per month higher, because you didn't put down enough money. And the PMI payments don't go toward the purchase price. They are insurance payments. Sometimes, you can get charged with a large PMI payment at the beginning, on top of the monthly payment. Be careful about PMI charges. There is other money that you need for a closing, but that is not actually an an expense for you. These are like putting money in the bank. It's your money, but unless it's in the bank, you don't get the home. "Escrow deposit" is a cost that you will pay if you are getting a loan, and you are borrowing 80% or more of the purchase price. The bank will require you to put money into an escrow account, that the bank keeps, so that the bank can use the money to pay your property taxes and homeowner insurance. "Earnest money" you put down to demonstrate that you're serious about buying the seller's home. You'll get the money back once you close or you can add it to your down payment. You decide how much this will be, but usually it's $1,000, up to about 5% of the purchase price. Note that you also need to plan for additional "after purchase" expenses. Moving your furniture, paying monthly or annual HOA dues if your neighborhood has a homeowners association, etc. Once you access all above and feel ready to buy, contact a Mortgage Banker who will help you get pre-qualified for a loan. You’ll get an estimate of how much you’ll be able to borrow. You can also use a mortgage affordability calculator to estimate how much you will be able to borrow. Once you have this useful information you can call your favorite Realtor to enter into the FUN part of the real estate purchase-the house hunt! And do not forget the Best time to buy is NOW! "Is the most favorable time to buy running out?" We've been hearing the same story for the past 4 years that the best time to buy is now and that the interest rate is lower than ever now. So is all that correct? And how will we know whether now is the time to buy? Following the history of the sale prices from 2010 to 2014 we can see healthy price increases, while interest rates were not changing much, making home ownership more and more attractive. House prices are on the rise, but they're still dramatically low and affordable. Some financial gurus predict interest rates to go up starting late next month due to discontinuation of Stimulus Plans, according to the minutes of the June 17-18 Federal Open Market Committee Meeting. "All signs point to rates going up in the future" says Brian Koss, executive vice president of Mortgage Network in Danvers, Massachusetts. Higher interest rates mean higher monthly payments, which not only affects new home buyers but also current home owners who want to sell. Another reason why qualified buyers should not wait is investors. Thousands of small and big investors popped up everywhere plus US being flooded with foreign investors , who are full of cash and they are snapping up available deals. The reason is simple - real estate is the BEST investment of their funds right now. Most of them earn close to zero in banks savings and do not feel comfortable investing in the Stock Market! Not to mention the rental market profitability that just Exploded during the last 2 years! Even builders started to feel confident again jumping into new construction! So those are 3 main reasons WHY Time and Prices are still right! Congratulations to anyone who is able to buy now! Is House Purchase Financing your next Goal! Have you had short sale, foreclosure or bankruptcy in the past? Wondering when are you eligible to obtain house financing and purchase a home again? Experiencing a damaging credit event as a foreclosure, short sale, divorce, bankruptcy does NOT mean that you will not be eligible for another mortgage. 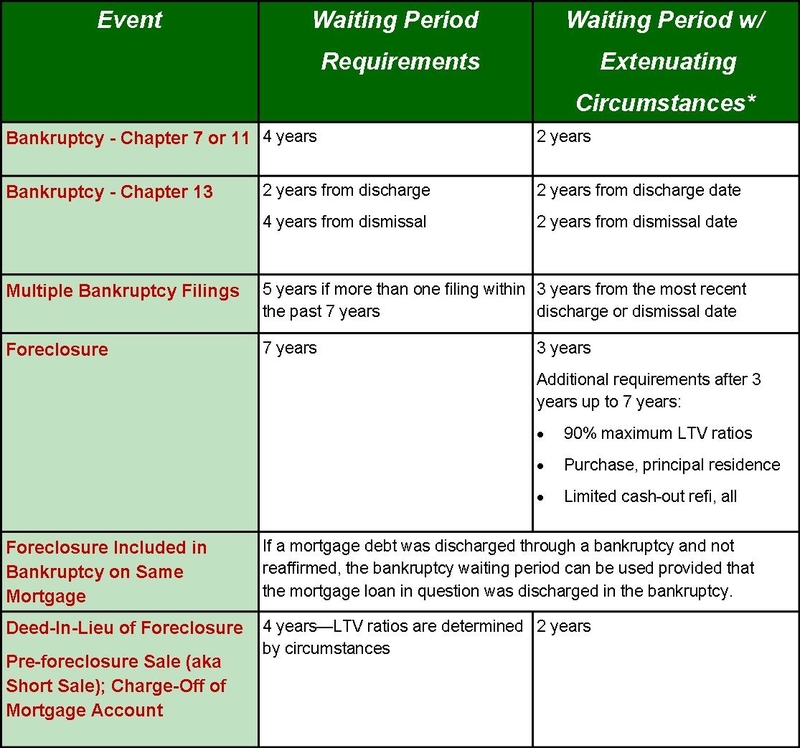 You need to know and understand the time line by which lenders establish your eligibility. Knowing this information will help you to prepare yourself for a future successful purchase and to plan your savings for down payment. Having a knowledgeable real estate agent and lender on your side will help you keep your waiting time to a minimum and make sure that your credit is being repaired. You can buy short sale or REO homes even after you had one yourself in the past, once you are eligible to borrow again. -Illinois down payment assistance program with up to $7,500 towards your down payment. If none of the above apply to you, there are always plenty of houses for sale with owner financing. In some cases the waiting period for eligibility might be shorter. If you experienced extenuating circumstances that are beyond your control such as loss of job, death of a wage earner etc. All such events will require document verification and will be subject to underwriter approval. "Open House VS Internet Marketing"
In your opinion has the Internet Age Open House Become Irrelevant? But now, thanks to the Internet, the traditional open house is starting to feel like an old approach. Meanwhile, sellers hope for the kind of response to their open houses that their parents might have received. They're usually disappointed. For pictures, videos, and personal tours of your home, staging may pay off in faster sales and higher asking prices, but don't count on the staged open house to generate offers. These days, you'll get more browsers than qualified buyers. And don't hold multiple open houses. Hosting several open houses says "desperation" to buyers and may encourage lowball offers. What is Real Estate Tax? Real Estate tax is a complicated matter, but we all have to know WHAT is it and WHY are we paying so much money 2 times a year. This short video created by Illinois Organization of Realtors explains Tax matter very simple and interactive. Build Wealth Irrespective of Your Current Financial Position! One Stop Solutions Available HERE! Are you at the brink of a foreclosure? Are you struggling to retain your property ownership? Do you require professional handling of loan modifications? Would you like to make profits on Real Estate transactions? Welcome to Chicago-Land-RealEstate.com, and I am Svetlana Cole, your "Doctor-Know-It-All" of real estate solutions! Often, clients approach me when they face the dead end of the “hope road”, they are either on the brink of bankruptcy or foreclosure. No doubt, these situations are highly challenging, and require immediate intervention with robust Real Estate skills. Naturally, clients love us and never forget to contact us whether they are looking for property investment or are facing their worst Real Estate issues. We offer a wide range of services at part with the industry standards and unique customer requirements. -Real Estate Buying: Whether you are looking to buy a commercial or a residential property, your main aim is to invest successfully and build an asset. I will help you to make the right decision. -Real Estate Selling: We offer complete professionalism and passion to help you get the best value for money with your property. We will guide you in the right direction and help you make optimal profits. -Help with Foreclosure Investment: Are you looking to invest in a foreclosure property? We will help you make the best decision on maximum savings and wealth building opportunities. Make 35% to 53% gross profits on such properties with our guidance! -Help with Stopping Foreclosures: When you find yourself at the other end of real estate spectrum, there is no need to feel gloomy. We have helped hundreds of clients fight foreclosure, turning it into a profitable situation with our express help and guidance! When you approach Us, we will understand your requirements through in-depth, one-on-one discussion. In real estate buying and selling, we will work with you right through the end of the tunnel, until you achieve your business transaction. We will be your friend in need when it comes to stopping foreclosures, which is our forte. We will help you to turn a negative situation into a profit-making one. Come to us to understand your foreclosure situation better! What’s more, with us you can benefit from our FREE consultations where you can get the best possible professional advice without spending a dime! So whenever you find yourself in a Real Estate fix, do not delay and make your situation worse. Contact us instead, to see your problems vanish! 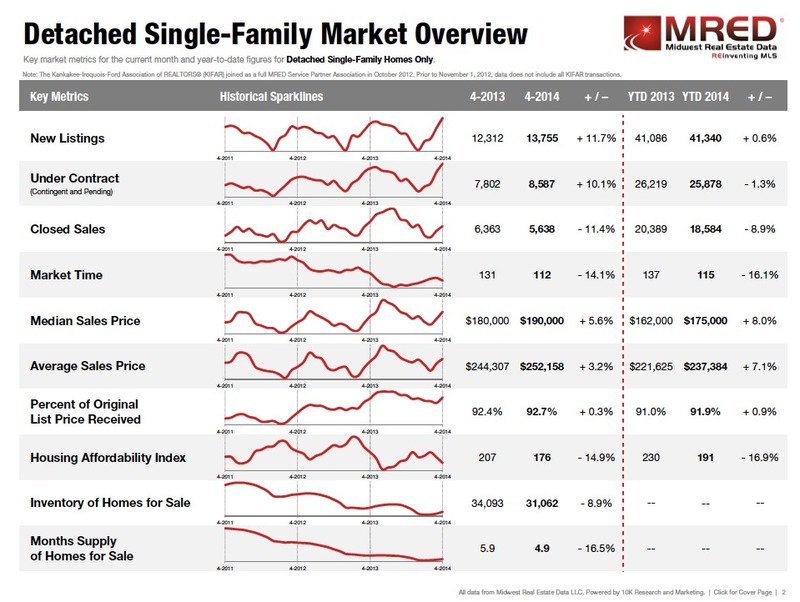 Detached Single Family Market Overview per Realtors confidence index. I promise to use it only to send you Real Estate News from Lana Cole.